If you’re a student attending Missouri State University wanting to live off-campus, start your house hunting right after winter break. Each year within the Springfield area, students seem to be looking for housing earlier and earlier. To secure your perfect pad, start contacting properties as early as January. When looking for housing in Springfield, signing a lease for the next school year as early as possible is the smartest way to go, or you’ll end up scrambling around trying to find a place. As the spring semester continues housing is filling up, so jump on it ASAP! Renting in Springfield is reasonably affordable for all housing preferences. Living with one or more roommates will totally save you money each month, but if you prefer to live alone it’s still fairly affordable. Keep in mind that the more expensive units are also going to include most utilities, so you only need to worry about writing one monthly check. These units are typically within larger apartment complexes that are either conveniently located within walking distance to the MSU campus or they offer a free shuttle bus to the school. On top of that, these apartments include incredible amenities like heated outdoor pools, rooftop terraces for grilling, movie theaters, and many others. Prefer to live in a house? There are several houses around campus but act quick on those because houses go first and overall they are cheaper. To take a break from studies, students often meet up with each other to grab some grub. This is one of the many ways students like to catch-up and hang out with friends. With so many restaurants near campus or just a short drive downtown, Springfield has a variety of restaurants to offer. When the weekend hits and you’re ready for a well-deserved drink, head to one of the many favored bars or nightclubs in the area and dance the night away. MSU even designed a program for designated drivers called CHEERS. The MSU recreation center is a very popular spot for students to engage in several activities with one another. They are several intramural sports to get involved in like volleyball or soccer. Students can even utilize many of the outdoor fields to lay a game. Some other popular activities within the rec center are rock climbing and floating down the lazy river in the pool. They even have a zip line! Often times students head to the Plaster Student Union for a game of pool or ping-pong. Every Friday at the Union, they offer students free frames of bowling. Head off-campus and walk at the Springfield Conservation Nature Center. Here, you can experience the interactive exhibits and take in the sites of the surrounding scenery and the James River. Get out your flashlight and head to the Fantastic Caverns and ride the tour tram through the spooky cave! Even though Springfield is one of the largest cities in Missouri, it is compact and most everything you need to do within the city is fairly accessible. Students at MSU are really big into sports! Join in on a pep rally and tailgate for a Bear’s football game. Baseball is also really popular here. Both St. Louis and Kansas City are within driving distance (consider taking a weekend trip) of Springfield so there are a ton of Cardinals and Royals fans. The Springfield Cardinals are a Double-A minor league baseball team owned by the Cardinals and their field is located in Springfield. Tickets are affordable, so check out a game. Since the MSU campus is so close to downtown Springfield, students often head downtown to eat at one of the restaurants or go shopping. MSU even offers a shuttle service that takes students from campus to downtown Springfield. On the first weekend of every month, there is an event called Art Walk, which allows musicians and artists to showcase their talent to the public. You can watch glass blowing, listen to bands, and view art galleries all for free. On-campus, join one of the 300 different student organizations like a frat/sorority or debate club. With so many options there is certainly something for everyone. As you’re exploring the city and campus if you see a bear statue or mascot, or maybe even a live bear, don’t forget to take a picture! After all, it’s tradition! 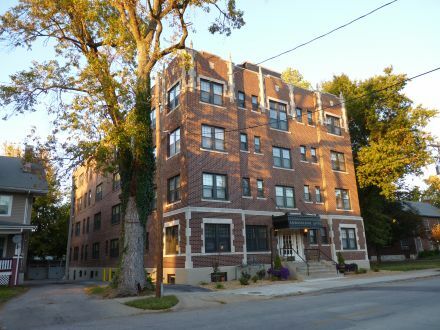 Just east of Downtown and the Missouri State University campus is the buzzing, historic Rountree neighborhood. Rountree is located smack dab in the middle of center-city and houses many of the MSU students, and a wide range of diverse families. There might now be much in Rountree but due to the location, nearly anything you need to get to is walkable. The area has large historic homes and small bungalows where you’ll see many people sitting outside on their porches, people walking their pups, and students jogging down the streets. Walnut Street runs through Rountree and it's one the largest historic streets. Here you’ll see a mix of the 19th-century remains of brick walls, carriage houses, and stained glass windows mixed in with the newer merchants, restaurants, and an award winning bed and breakfast called the Walnut Street Inn. Rountree is also a very, popular spot for Halloween lovers. Each year the neighborhood goes all out decorating and hosts a big spooky Halloween parade. In May there is Artfest and in September you have Cider Days. Know for its central location in Springfield, the Phelps Grove/University Heights neighborhood is just south of the Missouri State University. 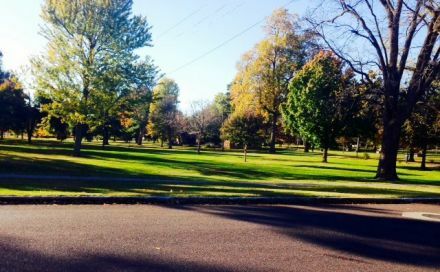 Due to its close distance to almost anywhere in Springfield, and moderate rental prices, this neighborhood is great for students looking for off-campus housing in Springfield. The neighborhood was developed in the early 1900s so many of the houses are older bungalow style homes surrounded by trees. Don’t let the historic old charm fool you though, the neighborhood is active and alive and throughout the day you’ll see residents strolling around the streets, jogging, biking, and skateboarding. Due to the high population of college kids that host insane weekend parties, have couches on their house rooftops, and blast loud music this area is oftentimes referred to as the “Student Ghetto,” and is more frat than family. Some highlights of Phelps Grove is the Springfield Art Museum and Phelps Grove Park, “making cultural and recreational activities within easy walking distance for residents.” Just make sure when visiting Phelps Grove Park you don’t run into the rumored ghost bride who died there on her wedding night and is still haunting the grounds! The Midtown neighborhood of Springfield is just north of Downtown and MSU. 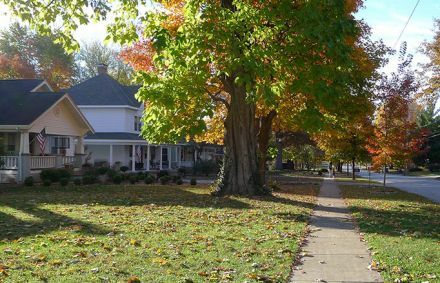 Midtown is Springfield’s largest historic district and the residents do a lot to keep the old world charm alive. Streets are lined with large historic homes and over the years a diverse variety of residents have moved into the neighborhood. Each year, the people in Midtown hold several different events that bring all of Springfield together. Some of these events include the Old Fashioned Fourth of July Parade and Celebration and Victorian Christmas Homes Tour where residents dress up from that era and take people on tours through the old homes. The popular Washington Park is also in Midtown where residents can gather weekly for free concerts at “Music in the Park.” Midtown also has popular landmarks like the Bentley House and Stone Chapel for history buffs to visit and tour. Nearly anywhere in Springfield is easily accessible so the commute for students is convenient. If you want some historic charm mixed in with all that Springfield has to offer, Midtown is a good place to start. Home to the Missouri State University campus is the Downtown area of Springfield. Here you’ll find several luxury loft-style apartments and many of the off-campus student apartments in Springfield. Residents will have tons of dining options from cozy cafes to upscale restaurants to choose from. 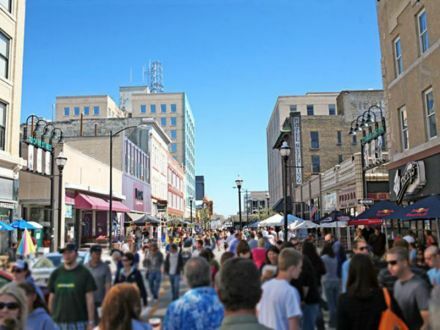 From antique shops, boutique stores, art galleries, and a big variety of happening nightlife spots, Downtown Springfield has a wide range of activities for anyone to get into. Downtown has a big music scene and the popular Gillioz Theater has several events to check out year round. Every first Friday of each month hundreds upon hundreds of Springfield residents gather to for the First Friday Art Walk. People walk throughout the Downtown Arts District soaking up all the demonstrations, performances, music, and displays at several different galleries. If you come car-less, MSU is an easy walk and wherever you are downtown you’ll easily be able to find a bus to catch.